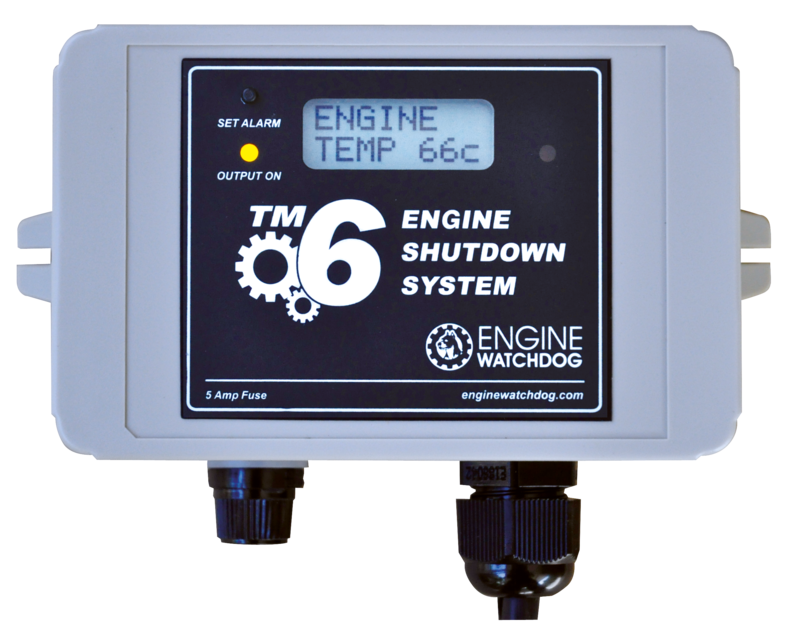 The TM6 is an advanced electronic control system that will shut engines down in an emergency situation. It activates if low oil pressure, high engine temperature or any other third fault condition is detected. The third input must switch to ground (compatible with fan belt switches, Murphy Gauge pressure switches or float valves). (See the TM7 protection timer to stop engines in up to 48 Hrs). - ENGINE TEMPERATURE MONITOR. The TM6 monitors and displays the engine temperature by using the ‘Easy Fit’ heat sensor. The sensor simply attaches like a washer under any suitable bolt on the engine block, here it detects all possible causes of engine overheating. (Unit comes standard with an 'EASY FIT' heat sensor). - TEMPERATURE SHUTDOWN. If the engine temperature goes higher than the temperature set into the TM6's permanent alarm memory by the operator, the engine will stop. By using the front switch, the alarm can be set anywhere from 1 to 127 degrees Celsius. 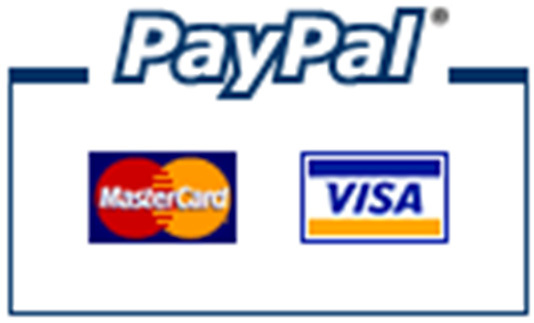 - LOW OIL PRESSURE SHUTDOWN INPUT. The TM6 has a stopping input that requires a signal to ground on low oil pressure to operate. If the engine already has a oil light, the input wire is simply tagged onto the existing oil light sender. Or else an inexpensive car type oil light sender is fitted to the engine (not suited to oil gauges sensors). - SPARE STOPPING INPUT. 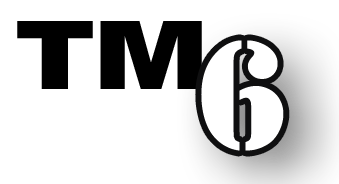 The TM6 has a spare stopping input used for any purpose that switches to ground on a fault, such as a fan belt switch on an air cooled engine or a Murphy Gauge high low pressure switch on a water pump (see pricing for a pressure switch gauge). - SHUTDOWN MESSAGES. The TM6 displays messages to indicate which emergency situation stopped engine. This message remains on until the operator returns to the engine and turns the unit off. - START BYPASS. When starting the engine, the TM6 has up to four minutes of bypass time to allow the engine and pump pressures to stabilize. The bypass time can be set by the operator in 10 second increments from 1 - 240 seconds (factory set at 10 seconds). - MANUAL OVERRIDE. The start bypass time can be manually over ridden to either cancel or extend the bypass time. - FLEXIBLE STOPPING OUTPUTS. The TM6 is flexible enough to stop most engines. It has two selectable stopping output modes. Stopping option A. The output power is normally ON while the engine runs and then OFF in an emergency (ideal for controlling fuel solenoids). Stopping option B. The power is normally OFF while the engine runs, then ON for 15 seconds in an emergency. When used in association with an inexpensive slave relay, output B is ideal for controlling heavy decompression solenoids or electric stopping circuits. We can supply a 12v Fuel Cut Off Valve for small to medium size engines Price: AU $75.00 For 24v systems a 24-12 volt reducer capable of running the above 12v fuel solenoid is available for $35 (the TM6 can operate on 24v however the 12v solenoid we sell cannot).